Sasquatch Books; Et Al. New. 2001. Hardcover. 1570613117 . *** FREE UPGRADE to Courier/Priority Shipping Upon Request *** - *** IN STOCK AND IMMEDIATELY AVAILABLE FOR SHIPMENT - FLAWLESS COPY, BRAND NEW, PRISTINE, NEVER OPENED -- - Corresponds to ASIN: B002JSMJ14. 224 pages, 335 illus. (209 in color) , bibliog. ; 4to. -- with a bonus offer . Sasquatch Books, 2002-01-16. Hardcover. Used:Good. London: British Museum Press, 2001. 1st edition. hardback with dust jacket. As New. folio. 224pp., col. & b/w pls., text ills., maps, index, ÔOver five hundred years of maps depicting the North Pacific Ocean and the lands that border it; the US, Canada, Alaska, Russia, Japan, Korea, & China have been collected. 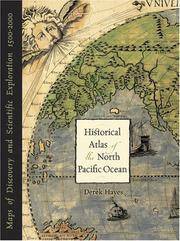 From 16th Century to modern satellite maps; this volume covers all the major explorations; such as Magellan, Bering, Cook, Vancouver Perry etc. The British Museum. Hardcover. 0714125601 . New. 2001-01-01. Sasquatch Books. Hardcover. 1570613117 New Condition. . New. Vancouver: Douglas & McIntyre Ltd., 2001 First edition in hardcover with dust jacket. 224 pp. Colour maps, map catalogue, bibliography, index. Fine/Fine.. Hardcover. Fine/Fine. BG4-3. Seattle, Washington, U.S.A.: Sasquatch Books, 2001. SIGNED BY THE AUTHOR. A bright and fine copy in dust jacket. . Signed. First Edition. Hard Cover. Fine/Fine. Folio - over 12" - 15" tall. Sasquatch Books. Hardcover. 1570613117 Like New Condition. . Fine. Historical Atlas of the North Pacific Ocean. Maps of Discovery and Scientific Exploration 1500-2000. Seattle: Sasquatch Books. Maps of Discovery and Scientific Exploration 1500-2000, Folio 13 inches in height by 9.75 inches in width, 224 pages heavily illustrated with vintage maps, Book is Fine, tight and square with sharp points, ultra clean black cloth with bright silver titles to spine, No previous owner bookplate or writing, Jacket is near Fine, full color ancient chart on front board, some light rubbing on rear panel else Fine, shows nicely in a new mylar sleeve. An ultra clean and most presentable Edition. . Fine. Hardcover. 2001. Vancouver Canada: Douglas & McIntyre , 2001. 224 pages. Maps of Discovery adn Scientific Exploration 1500 - 2000. shipping will be extra, please inquire. small nick to paper at top of dj spine (dj now in mylar protector). . Hard Cover. Fine/Near Fine. 9 3/4 x 13 ". British Museum Press. Used - Like New. 2001. Hardcover. May have a remainder mark. Fine. The British Museum Press, 2001-1-1. Hardcover. Very Good/Very Good. Black linen boards with silver lettering on spine. Binding is tight. Text and images are clean and unmarked. Illustrated dust jacket shows some light use, in mylar cover. Seattle, WA, U.S.A.: Sasquatch Books, 2001, 2001. Maps of Discovery and Scientific Exploration 1500-2000. From the Author of Historical Atlas of the Pacific Northwest. First American Edition.. Hard Cover. Very Good/Very Good. Sasquatch Books, 2002-01-16. Hardcover. Good. Seattle, WA, U.S.A.: Sasquatch Books, 2001. First Printing. Hardcover. Near Fine/Near Fine. Fully Illustrated. Folio - over 12" - 15" tall. In pictorial jacket, folio, 224pp. Illustrated profusely. The British Museum, 2001. Hardcover. Good. Disclaimer:A copy that has been read, but remains in clean condition. All pages are intact, and the cover is intact. The spine may show signs of wear. Pages can include limited notes and highlighting, and the copy can include previous owner inscriptions. The dust jacket is missing. At ThriftBooks, our motto is: Read More, Spend Less. Sasquatch Books. Used - Good. Ships from Reno, NV. Shows some signs of wear, and may have some markings on the inside. 100% Money Back Guarantee. Shipped to over one million happy customers. Your purchase benefits world literacy!